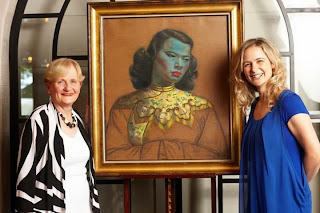 On Friday 29th November 2013, Vladimir Tretchikoff’s iconic painting Chinese Girl returned home to South Africa, unveiled at Delaire Graff Estate by Tretchikoff’s original model, Monika Pon-su-san. The piece, which is said to be one of the most reproduced and recognisable paintings in the world was acquired by Chairman of Graff Diamonds, Laurence Graff OBE in March 2013. 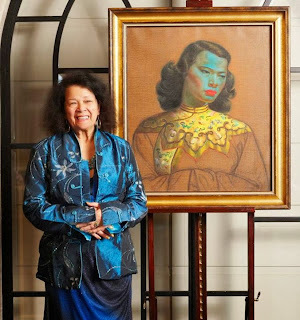 Commenting on the painting Mr Graff said: “As a young man, I noticed the image of Tretchikoff’s Chinese Girl continuously displayed in many different locations in print form. 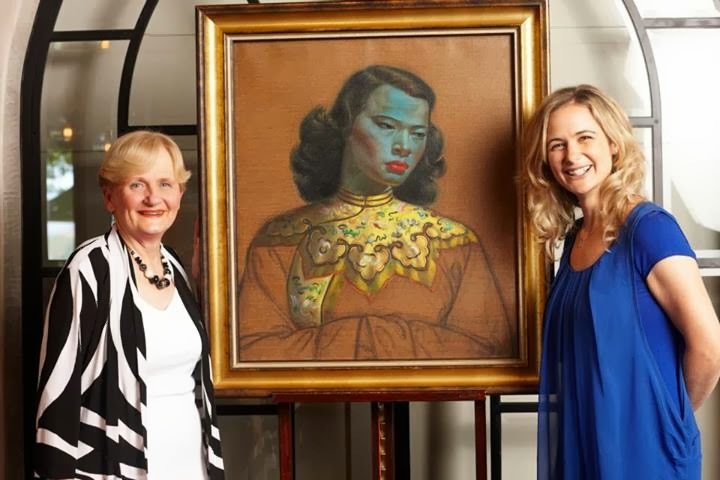 The unveiling of Chinese Girl was marked by a special fundraising event in support of Graff Diamonds’ charitable foundation For Africa’s Children Every Time (FACET), which aims to support the education, health and well-being of the people of sub-Saharan Africa. Guests were treated to insights from leading Tretchikoff experts; Andrew Lamprecht (Senior Lecturer at the University of Cape Town), Boris Gorelik (Writer, Historian and Tretchikoff Biographer) and Stephan Welz (Managing Director at Strauss & Co) followed by a delicious four course menu accompanied by Delaire Graff wine pairings and a charity auction. 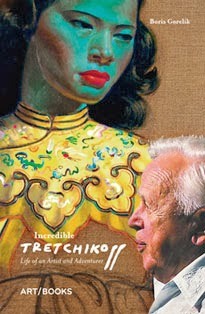 13/6/2017 As an portrait artist myself, and in my teens in the 60s, I remember very well, the prints of Tretchikoff. So years ago, when I found a first edition of his autobiography, writtten with Anthony Hocking and published in 1973, I bought it. Another reason for my interest was my long-standing close relationship with Java, and also the fact that I had been a regular contributor to The Jakarta Post for 15 years, and know Bruce Emond, who you also know, Boris. 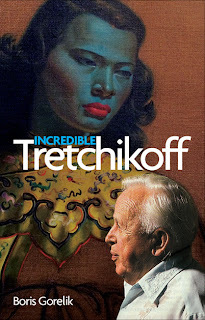 I've just finished re-reading the autobiography of Tretchikoff and have been browsing the internet to see more of his works than those I recalled from the 60s and 70s. Of course I wanted to have a good look at the ones he mentioned in his book too. So, I have come upon your article in The Jakarta Post's magazine, and news that you have also written about "Tretchi". I was fascinated to note your reasons for sparking your interest -- in that of course he was unknown in Soviet Russia, and since the end of that era, Russia has had other things on its collective mind. Also, Tretchi was no longer "news" in the West, but yes, even here in Australia ( and my homeland New Zealand) his prints are appearing in Retro stores, antique shops (where 'retro things' are also found). What a remarkable life he had. It demonstrates the massive turmoil of the 20th Century, and he, like millions of others, got caught up in it. But yes, he had "Pigeon's Luck" on his side, as he tells in his book. Have you seen this article in the Sydney Morning Herald?